As a frontend developer, working in Drupal can be a bit of a hassle. One of the things that always shocks a new themer is where all those damn CSS files are coming from and what they’re supposed to do. Even more important: how to remove those that aren't needed. Drupal provides easy ways to clean up the CSS and make your theme lean, mean, and clean — let's take a look. Copy the module's CSS file(s) (buttermuffin.css, etc.) into your own theme and change them there. Find the CSS Objects And Disable — FOAD! Show your mad preprocess skills and remove it. The first option is the usual way an unscrupulous developer would tell you, “Just overwrite the CSS.” That, of course, is not the way an angry themer wants to work. Not only is it tedious, but it doesn't remove the problem. The second option is more flexible. In the theme's .info file, you can define CSS files that you want to load in your theme. This is also the way to overwrite the module's CSS files. copy buttermuffin.css from /modules/buttermuffin/buttermuffin.css to the theme directory sites/SITENAME/THEMENAME/css/buttermuffin.css. After clearing the cache, the theme knows it should load buttermuffin.css from the theme instead of the module. If you just want to get rid of the CSS files you don't need, then the third option may be easiest. All you need to do is remove them out of the module. Or, as old battle-hardened themers call it: Find Objects And Disable — FOAD. Drupal thinks that you have style.css, node.css, comment.css, and buttermuffin.css files in the theme because they are listed in the .info file. However, Drupal won't load the files that don't exist in your theme, so you'll end up skipping the loads for the CSS files you don't want. This way, it's only themename.css that will be loaded into your site. Some may consider this a dirty trick, but we professionals call it a Very Useful Feature. See http://api.drupal.org/api/drupal/modules%21system%21system.api.php/funct... for more information on the css_alter hook. 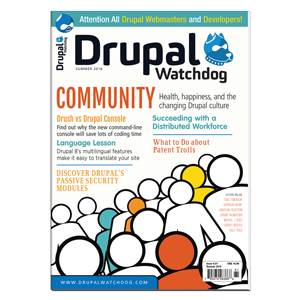 As you can see, there is hope for Drupal after all! There is no reason to put up with unwanted CSS clutter. Don’t get frustrated, don’t get angry; smile and take out the garbage. Mortendk runs geek Röyale, home of Copenhagen’s finest handcrafted Drupal themes. Although a Drupal Themer himself, in love with Drupal since version 4.7, he despises the excess mark-up and CSS Drupal spits out, and has vowed to Odin and Thor that he will be relentless in his attacks to make theming Drupal a pleasant experience for frontend developers.